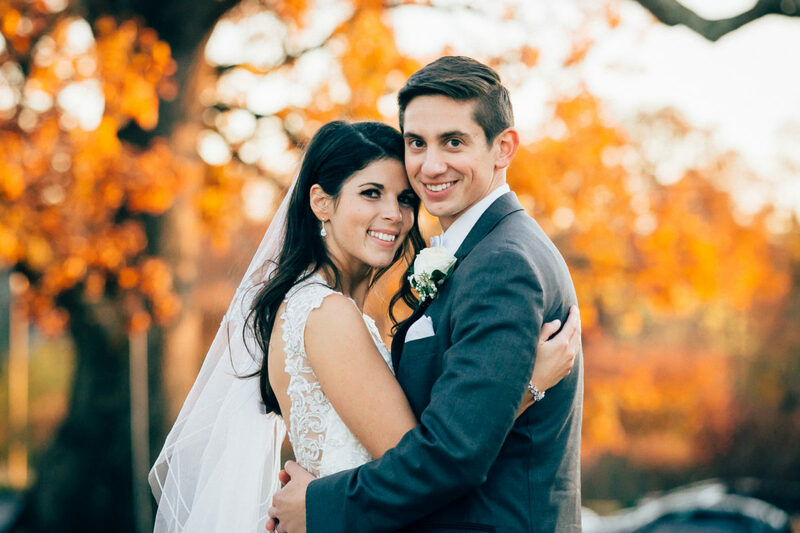 November 2018 Wedding of the Month ~ Kathleen & Jake Pizzica - RiverCrest Weddings - Montgomery County, Chester County & Philadelphia's premier wedding venue. When we were looking for our wedding venue, we already knew how beautiful RiverCrest was. 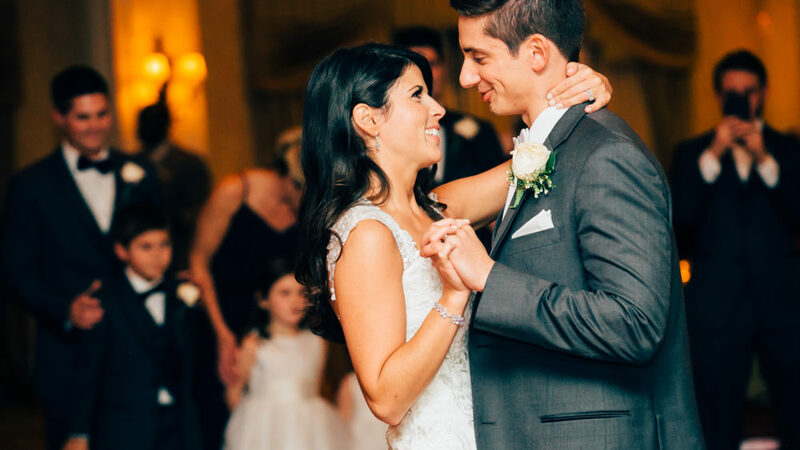 Once we had our first meeting with wedding specialist, Michele Morabito, there was no question that we wanted our reception here. Michele and the staff at RiverCrest made the process SO easy, stress free and fun. The food and service is phenomenal! Our guests haven’t stopped talking about how much they loved the food, especially the mashed potato martini bar at cocktail hour! Wedding planning is so much fun but it can also be very stressful. 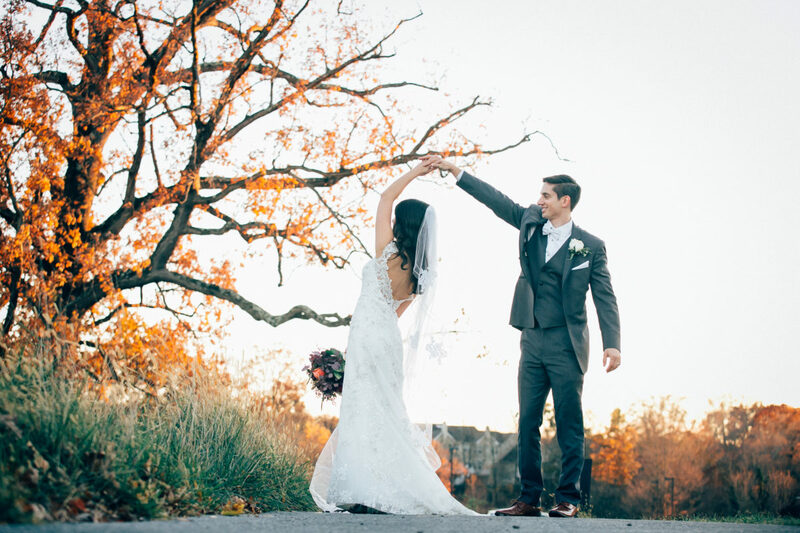 By choosing RiverCrest, we never stressed once about the reception because the staff made sure they did everything they possibly could to make the day absolutely PERFECT! Michele was constantly checking in with us leading up to our big day and it really meant so much to us. We are forever grateful! It is so hard to choose just one! We have many favorite moments throughout the day. 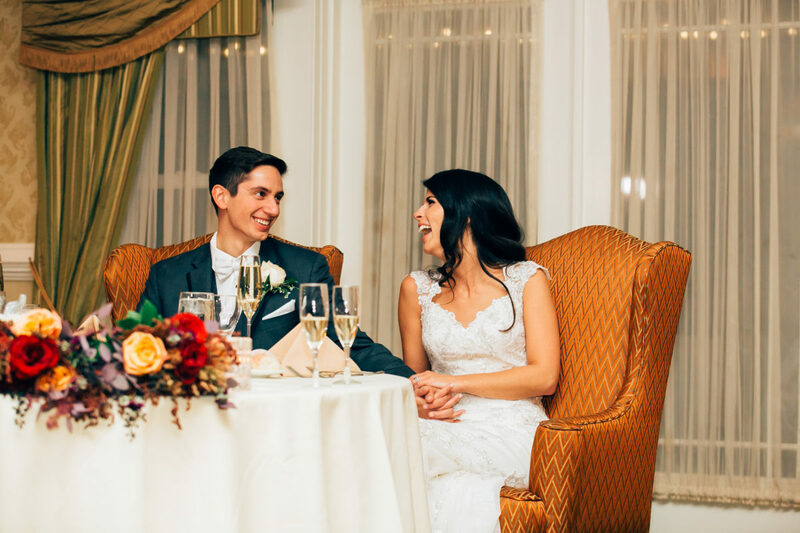 We took a moment when we were sitting at the sweetheart table to just look around and soak it all in. 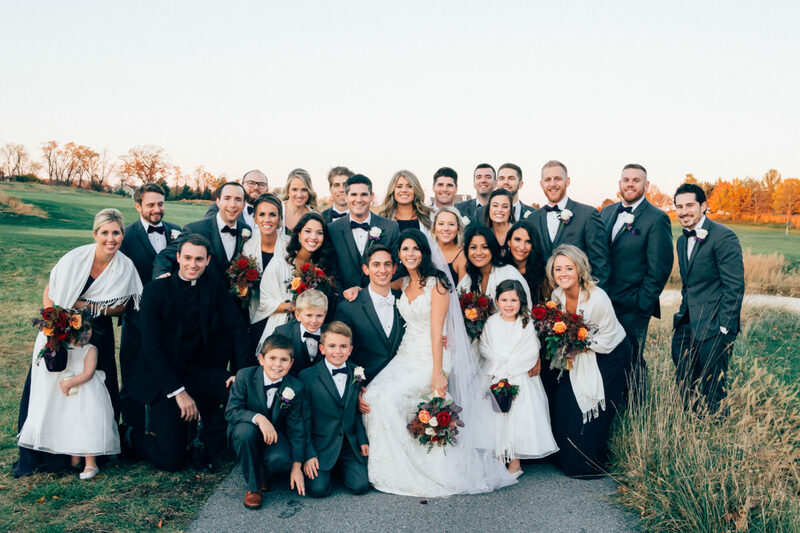 We were so excited that this moment was finally here and to be surrounded by all our friends and family! 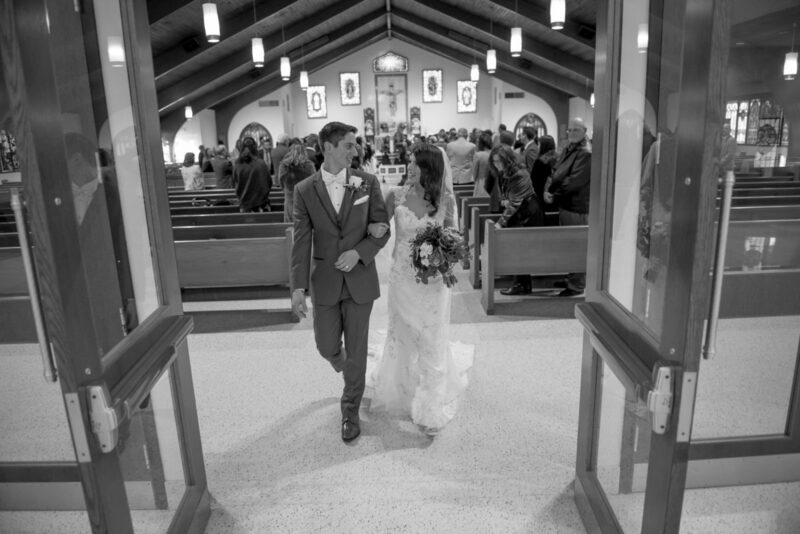 We met and started dating our senior year of high school at Bishop Shanahan in Downingtown, PA. 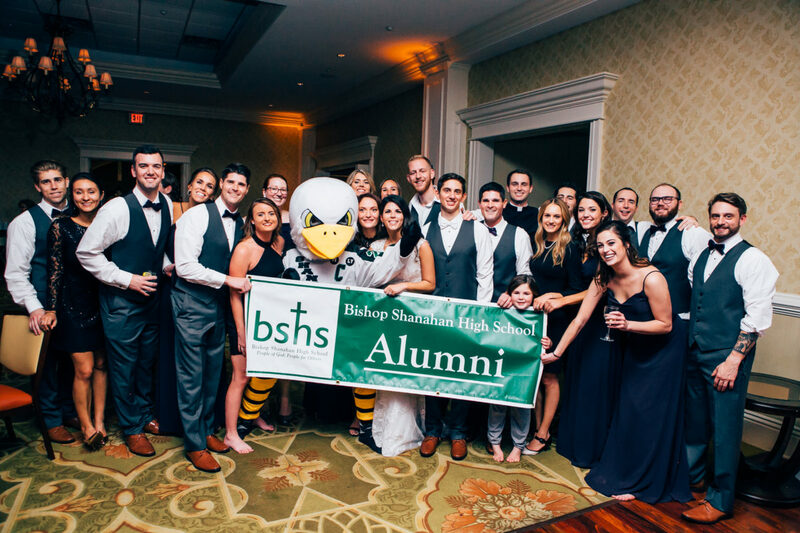 So many of our friends and family that attended the wedding are alumni as well. My brothers surprised us with the Shanahan mascot and alumni banner and we took a huge group photo. It was AWESOME! Definitely something we will never forget! We went to Aruba and stayed at the Riu Palace Antillas. We highly recommend it for any couple who is looking for a fun, romantic and relaxing honeymoon! My advice is to not stress too much! If time allows you, try to get things done here and there along the way so you don’t have to scramble at the last minute. Enjoy the ride because the whole process flies by! As far as advice for the bride AND groom- it is so important to be guests at your own wedding. Attend your cocktail hour, remember to eat and hydrate, and dance until you’re blue in the face! And try your best not to separate from each other! A friend of mine who got married recently gave me that advice and I found it to be so important! 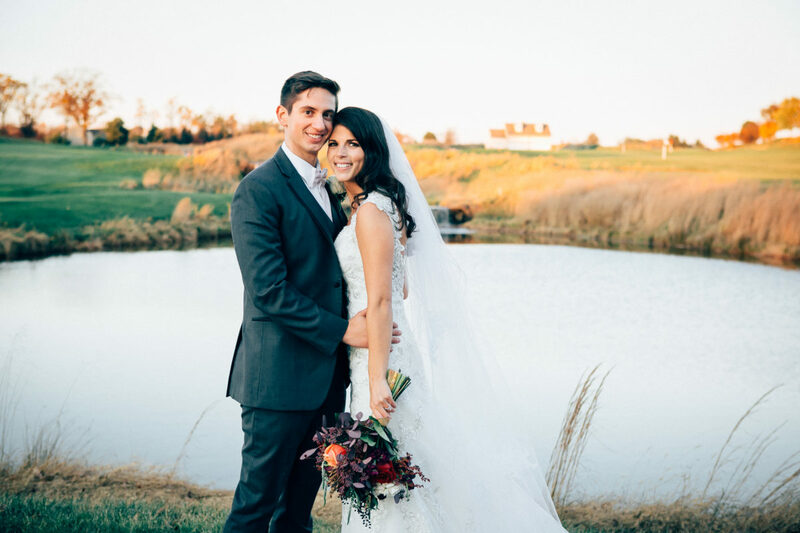 Florist ~ Matlack Florist, West Chester, PA, https://www.matlackflorist.com/ ~ I have always wanted to get married in the fall because the leaves and colors that time of the year are beautiful. My flowers were absolutely breathtaking and they completely nailed the look I was going for! 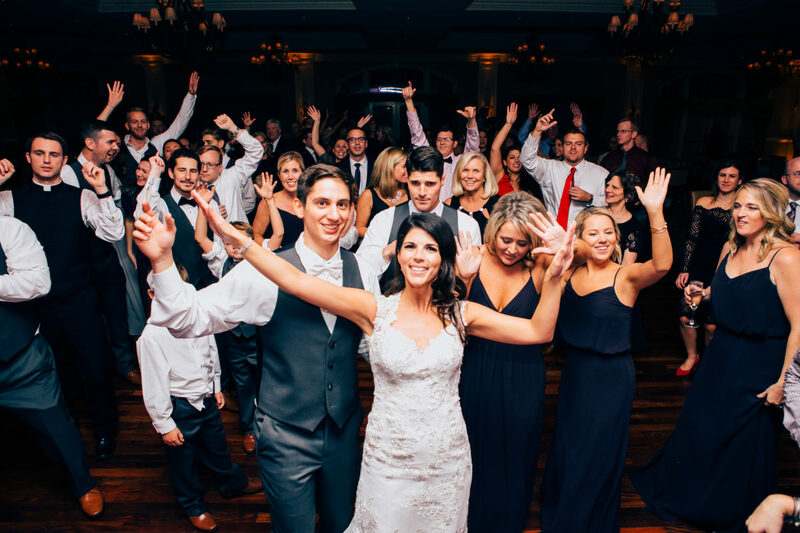 DJ ~ DJ Paul Evans, SilverSound, https://www.silversound.com/ ~ Paul Evans kept our dance floor packed the ENTIRE night! He played all the songs we asked him to and added in ones that he thought we would like. 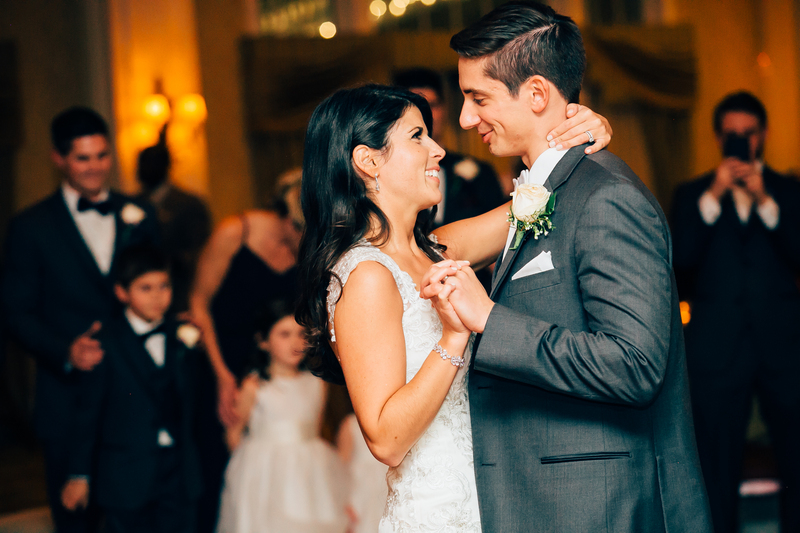 We keep hearing feedback from our guests saying he was the best DJ they have ever heard at a wedding! Photographer ~ Adam Jones Wedding Photography ~ http://www.adamjjoneswedding.com/ ~ We could go on and on about how beautiful our wedding and engagement photos are. 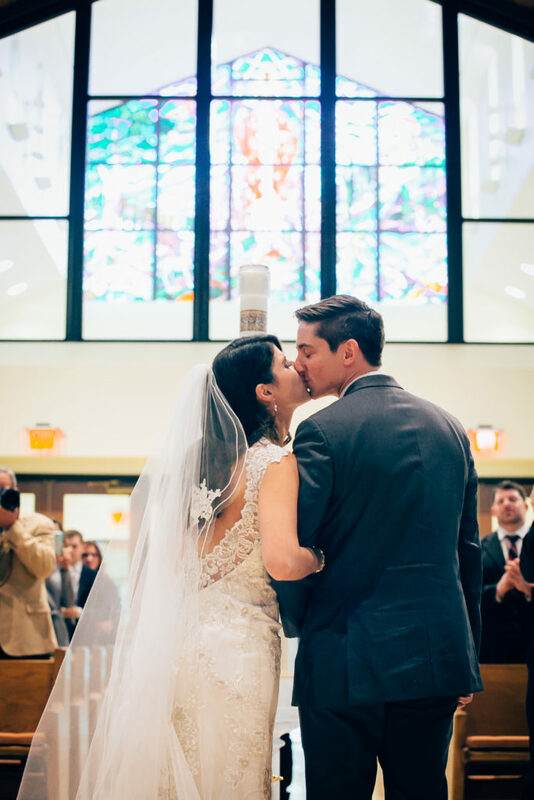 We look at them constantly and we are so happy to have these photos for a lifetime! Adam Jones is AMAZING and so talented! Dress Information ~ Sabrina Ann’s in West Chester, PA, http://www.sabrinaann.com/ ~ The unique thing about this wedding boutique is that it’s all sample dresses (the shop in Ardmore are sample dresses and dresses worn one time). This was a one-stop shop for me! I tried on dozens of dresses, and the one I chose I actually went past on the rack. The owner highly encouraged me to try it on and I knew right away that it was the one! Such a fun and memorable experience at Sabrina Ann’s!